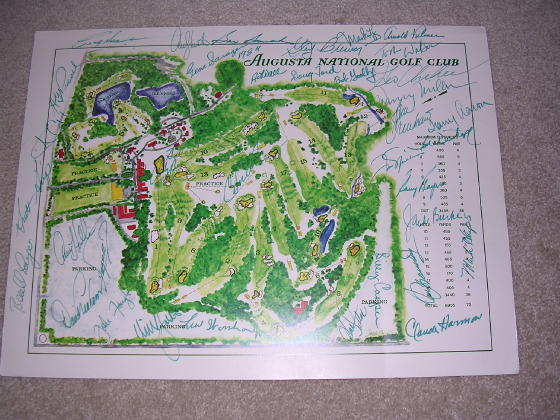 Very Rare Print signed at the 1984 Masters. This is a signed print signed for Honored Invited Guest Jim Ferrier. Mr. Ferrier won the 1947 PGA and almost won the 1950 Masters. He wound up second after shooting a 75 and Jimmy Demaret shooting a 69 on Sunday. I bought this item from Mr. Ferrier step-son. It is signed by 22 Masters champions including Henry Picard and Claude Harmon.